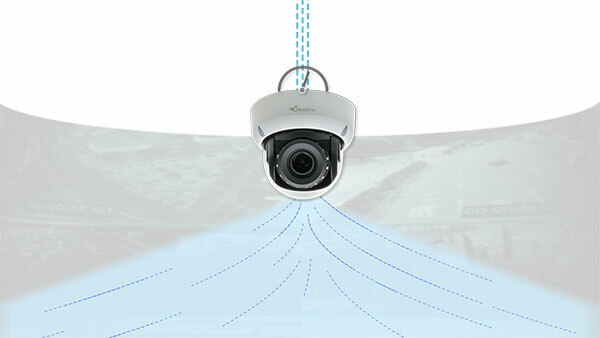 MILWAUKEE – (April 25, 2018) – Johnson Controls is introducing Illustra® IntelliZip, which enables users to lower the amount of bandwidth and storage needed by their video surveillance system while maintaining video quality and reducing costs. The Illustra IntelliZip smart compression engine uses intelligent bitrate control to adjust the level of compression during live video streaming of Illustra cameras to VideoEdge® network video recorders, minimizing network bandwidth and storage requirements beyond H.264 and H.264+ video streams. IntelliZip is best used with cameras that feature extended times of no movement or scenes with low motion where areas within the image remain static. For example, a car park or building entrance scene may have low motion activity for prolonged periods of time each day. By monitoring the average motion level, motion detection matrix and noise level of each video frame, IntelliZip’s rate control determines the activity within the scene and adjusts the encoder configuration for an optimum bitrate to achieve the desired video quality level. This can result in estimated bitrate reductions of up to 50 percent. If the scene experiences sporadic motion, IntelliZip will seamlessly reconfigure to maintain the quality of the image, meaning that no data is lost and the video stream retains its quality. This concept can also be applied to H.265 compression, allowing security operators to leverage the benefits of the latest high performance compression algorithm along with a highly efficient data rate. For more information, visit www.illustracameras.com.